Green polyurethane foam leprechaun hat by Elope Inc., with orange polyester beard also from Elope. Both were manufactured in China. Q: Who is the first Irishman out in the Spring? Groan as you will. I didn't promise it'd be highbrow. 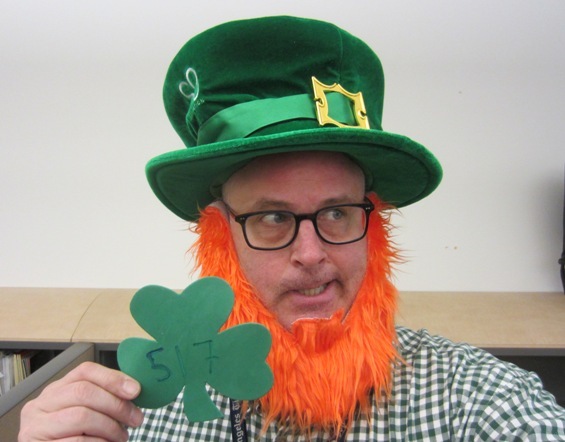 A tip o' the leprechaun lid to the good doctor for the shamrock which ended up being today's number card.